Discussion in 'Everything Else Sheep' started by Mike CHS, Nov 5, 2018. I don't know how many on the forum know of Dr. Kennedy of Pipestone Vet but he also worked the Ask a Vet portal for Pipestone. He was probably the most used mentor for no telling how many sheep producers that he never knew. I had several questions answered through him and it was always within minutes of sending so I'm not sure how much time he had for life outside of that. "Please be informed that I am subject to home hospice care. My kidneys have quit and I have been given weeks to live. Keep your questions coming. One of the hardest things is the fact that I’m no longer in the sheep business and the flock is for sale. Oh, that is heartbreaking. I have read some of his articles and he is full of wisdom. How sad. mysunwolf, Sheepshape, Mike CHS and 1 other person like this. Mike CHS and Sheepshape like this. I obviously have no knowledge of Dr Kennedy and his services, but he sounds like The Best. Giving advice when it is most needed is a great thing......instead of the "Well, if only I had known, I would have helped out". Keep sending him your questions.....clearly his timely advice was and is invaluable. Having nearly dispensed with my sheep I have an idea how it feels to think of them going to someone else. Advising on and helping with other folks' sheep will be comforting for him (not to mention very helpful to the flock owners). Baymule, Latestarter, Sheepshape and 1 other person like this. @Shellymay you have been missed here. Shellymay and Mike CHS like this. Latestarter, Baymule and Mike CHS like this. The clinic answers questions daily via telephone and Dr Kennedy answers questions 24/7, gkennedy@pipevet.com. 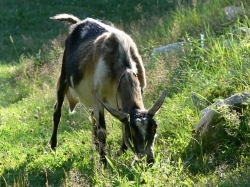 He is also on Facebook, Pipestone Vet Sheep-Goats. The Facebook site is where he posts the most relevant sheep and goat questions and answers. It is not interactive, that would be the E-Mail site.